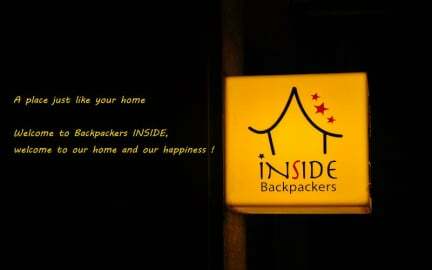 Backpackers INSIDE i Seoul, Sydkorea : Boka nu! Great hostel. Stayed five nights, great staff. Free toast and coffee in the morning. No curtains on the beds, but very cozy and staff member invited me to dinner at a super cute restaurant and tried South Korean food and drinks. They have great tips for places around the hostel and around in South Korea. Not a whole lot of people hung out if the common area, but I would stay here again.